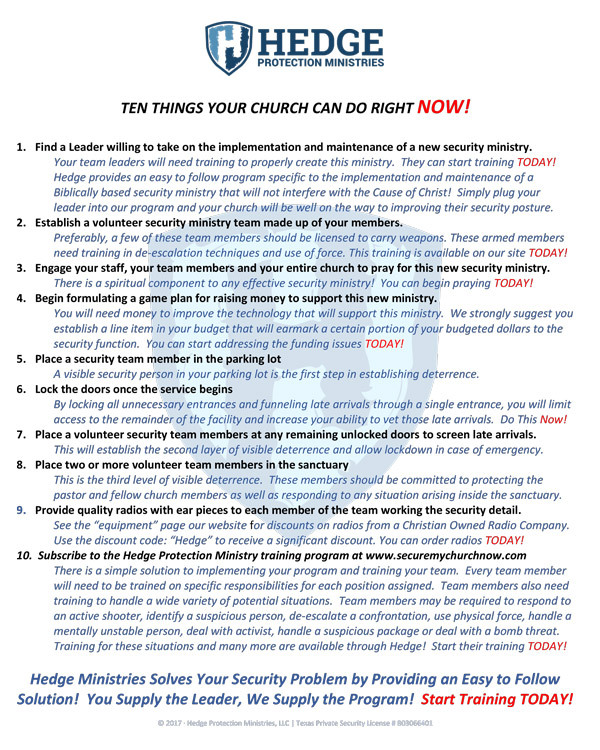 GROVES, Texas (KFDM) — As families and loved ones grieve in Sutherland Springs, Texas, following the deadliest church shooting in modern U-S history, there’s a call for more Southeast Texas (SETX) churches to increase security and arm members. KFDM/Fox 4’s Chris Mullooly spoke with Steve Visser, co-founder of Hedge Protection Ministries a company that helps to put security measures in place at churches. The First Baptist Church in Groves has a group of trained church members whose aim is to prevent tragic situations from occurring in church.